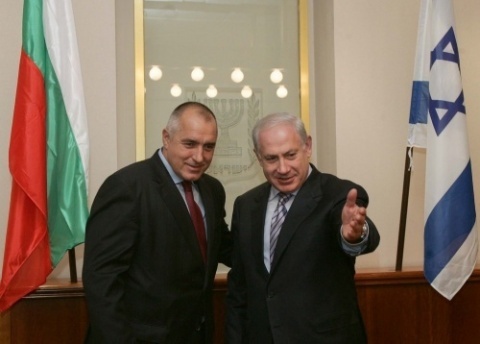 Israel is focusing on a boost of its relations with Balkan countries, including Bulgaria, which some have interpreted as a thrust to compensate for its rift with Turkey, a rising major power and a traditional Israeli ally prior to 2008-2010. "There is an amazing and constant improvement in our relations with Greece, Cyprus, Bulgaria, Romania and other countries, with whom our cooperation is increasing at all levels," Israel's Foreign Ministry spokesman Yigal Palmor said, as cited by BGNES, which quotes international media. "This warming of ties is a natural development which we welcome and is not a substitution measure directed against a third country," he explains. "Our relations with Turkey are at their lowest level, and so we have looked for new friends in the Balkans," Alon Liel, a former Israeli ambassador to Turkey, is quoted as saying. He further warns that if the Israeli-Palestinian peace talks keep stalling, Israel is threatened of an increased regional isolation. Even though Israeli-Turkish trade grew substantially in 2010 year-on-year, hundreds of thousands of Israeli tourists have started to avoid Turkey as a destination. The diplomatic rift between Israel and Turkey is widely regarded to have started with the December 2008 Israeli military operation in Gaza, and to have effectively been wrapped up with the Israeli raid on a convoy of ships crossing Israel's naval blockade of the Gaza Strip in which Israeli forces killed nine Turks.